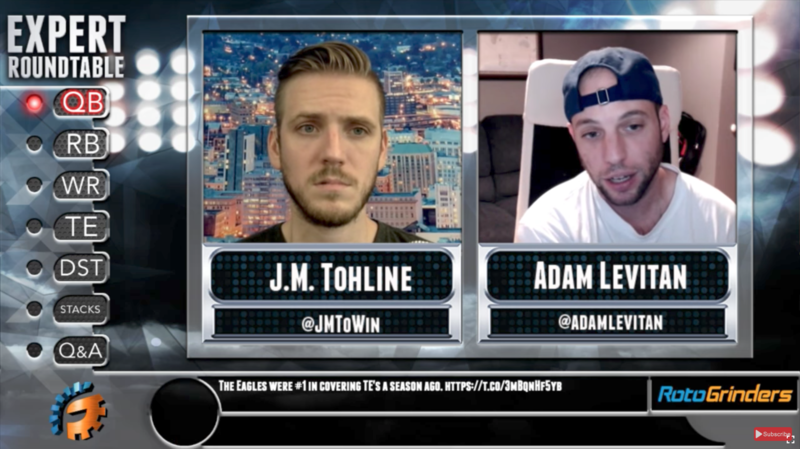 Thanks for joining RotoGrinders! We’re looking forward to assisting you throughout your daily fantasy adventures. To help you get the most out of your new account, we created this *6-part guide on “How To Use RotoGrinders To Win More Money Playing Daily Fantasy.”* Here, we’ll show you which parts of our site can help the different aspects of your daily games. To really gain an edge in daily fantasy, you need to combine expert strategy with breaking player news. Our Grinders Live videos and podcasts will make it easy for you to stay on top of the latest info to build the best possible lineups 6 days a week. GrindersLive is a great way to get thoughts and top plays from world-ranked DFS experts each day. Building better lineups is as easy as tuning in. The RotoGrinders Forum is the hub of the daily fantasy community. Be sure to check out the strategy threads devoted to each day's games. 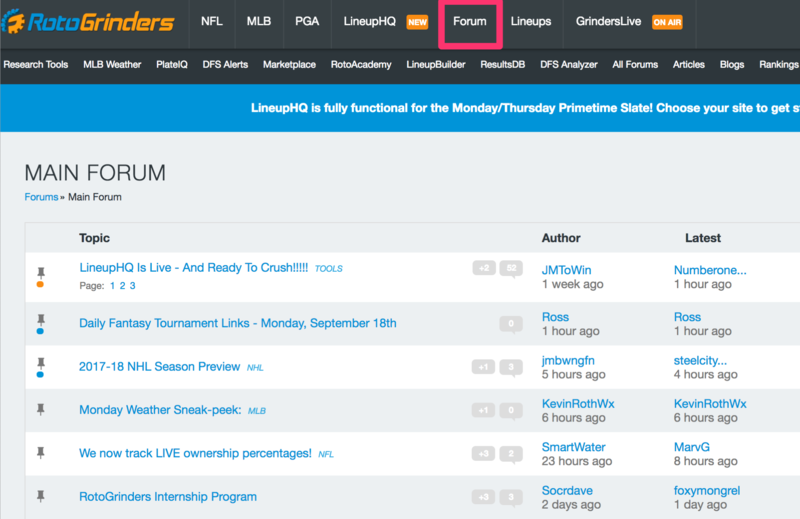 Not only can the forums help you build better lineups each day, but they’re where we announce industry news, giveaways, freerolls and more. Let world-ranked daily fantasy players help you become a consistent daily fantasy winner. RotoAcademy is an on-demand resource that you can access at any time. Both free and premium courses are offered, with sports-specific topics ranging from research and lineup construction, to bankroll management, cash game and tournament strategies, and everything in between. Go beyond today's picks. 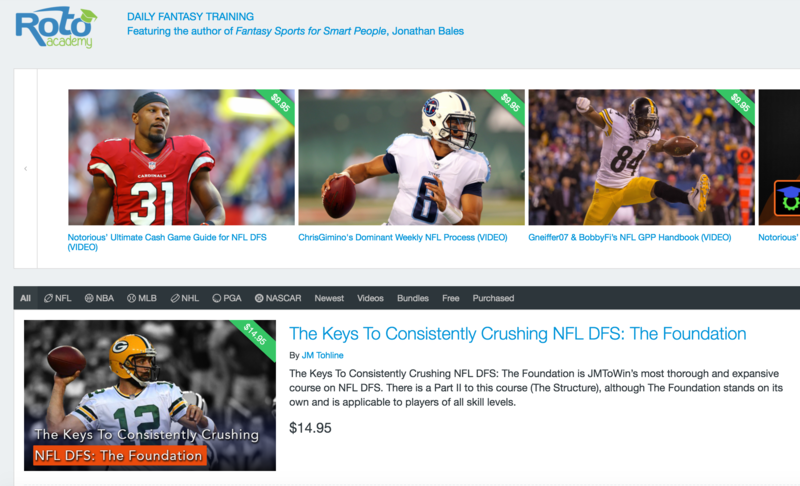 Check out RotoAcademy to develop the long-term skills you need to make real money in daily fantasy sports. You may have noticed that some of the buttons in our "Research Tools" consoles are orange and have dollar signs on them. These buttons indicate content and tools that are part of our Premium Product. Tailored to a specific daily fantasy site and sport, our premium packages will provide you with the tools, stats, and expert picks you need to build better lineups. Also remember, *if you click through one of our links when you create an account, you get FREE access for that site's premium package for a limited time! * Just remember to click through our links when signing up for new daily fantasy sites. Feeling overwhelmed? Don't worry. There's A LOT going on here at RotoGrinders that can help you win more money, more often playing daily fantasy. This guide is intended to be your jumping off point to our different sections, tools and content. Feel free to bookmark it. We also sent you a link to this page in your confirmation email, which you can save and use at your convenience. One of our most popular tools is also one of our most powerful. In each "Research Tools" console, you'll see a LineupHQ tool. As you research each day's games, Lineup Builder allows you to like, lock and/or exclude certain players from your lineups. Then, with a single click of one of the "Fine Lineups" button, you'll be able to automatically produce dozens of lineups based on your selections. Our "LineupHQ" tool is the quickest way to begin to optimize your lineups based on the players you like on a given day. Check it out! The Rankings are a cornerstone of RotoGrinders.com. If you go to your Grinders Profile and click "Edit Screen Names", you can track your game results across the daily fantasy sites you’re playing on. Players that participate in our Rankings system are serious about making money playing daily fantasy sports. Not only will you be able to monitor your climb to the top of our Grinders Rankings, but you’ll also be able to participate in our "Tournament Player of the Year race. Join for some extra motivation! What do you think? Ready to start building better lineups?